Author Angie Thomas, whose book The Hate U Give was adapted into a film starring Amandla Stenberg last year, is getting another one of her works made into a movie. According to Deadline, a movie based on Thomas’ On the Come Up is in the works at Fox. George Tillman Jr., who produced The Hate U Give, will be directing the film. On The Come Up, which is in stores today via HarperCollins imprint Balzer & Bray, tells the story of 16-year-old Bri, who aspires to be one of the greatest rappers of all time. As the daughter of an underground hip-hop legend who passed away right before hitting it big, Bri believes she’s got massive shoes to fill. However, it’s hard for her to come up when she’s labeled a hoodlum at school, and her fridge at home is empty after her mom loses her job. So Bri pours her anger and frustration into her first song, which does go viral. Only it happens for all the wrong reasons. Now, with all the negative attention, and her family facing eviction, Bri finds a newfound drive to help her achieve her dream. Thomas will be producing the pic with Marty Bowen, Isaac Klausner and John Fischer of Temple Hill alongside Robert Teitel, Tillman and Jay Marcus from State Street. Elizabeth Gabler, Erin Siminoff and Molly Saffron will oversee production on behalf of Fox. 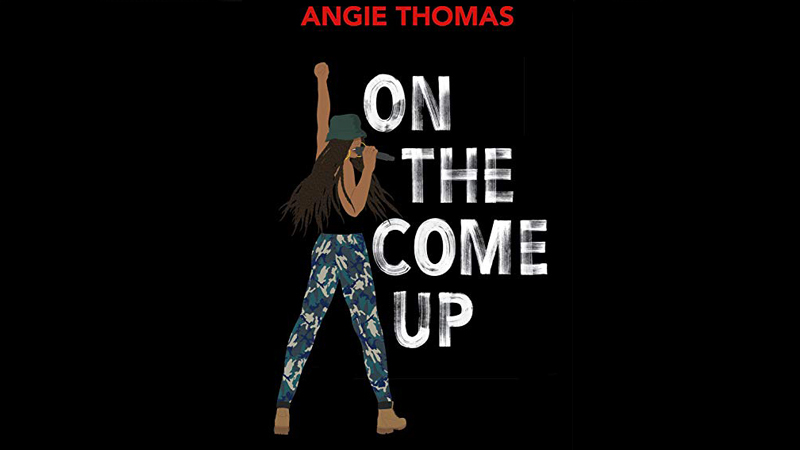 The post Angie Thomas’ On The Come Up to be Adapted by Fox appeared first on ComingSoon.net.